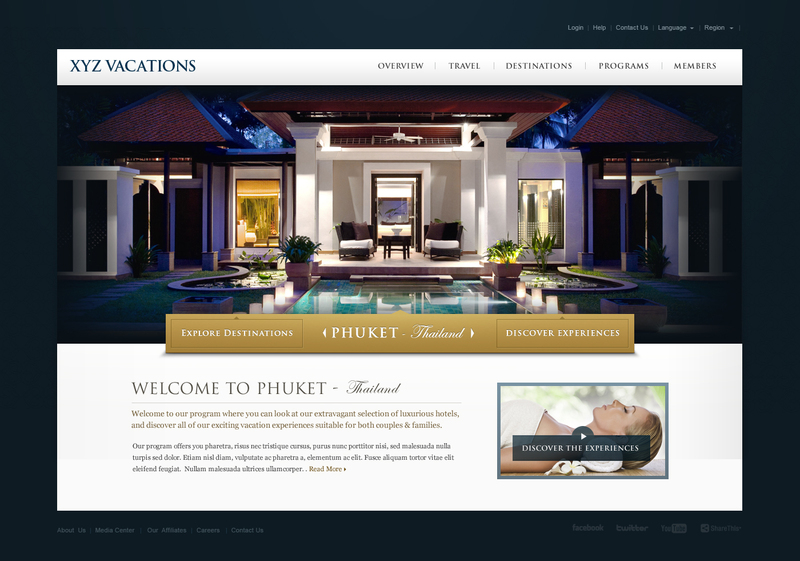 A company who offers their members selection of hotels around the world, was looking for a design solution, which focuses on members browsing hotels by either their destinations or activities. Please click on images to view them 100%. 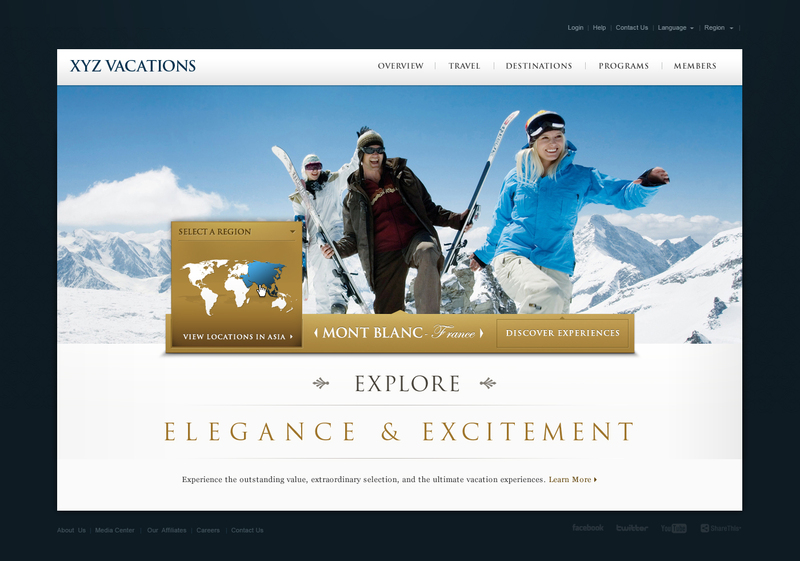 Homepage would have featuring destinations by default with branding message. When users click on destinations, they can select a region and country to filter their destination results. Hero image would update according to user’s selection giving the user more content and a video about their selected destination.